Congratulations to the first athletic scholarship recipients of the Class of 2017! 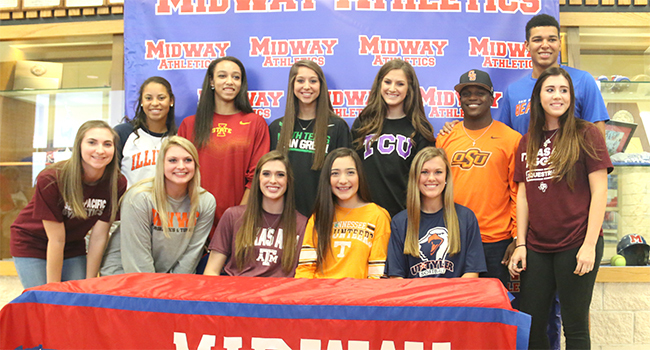 Among these impressive students are All-Americans, All-State athletes, national award winners, D1 recruits, and Super Centex honorees. Click here for the Facebook photo album of the ceremony, and more photos of Mrs. Deaton’s impressive cake!